Pinning control, which drives a networked system to a coherent state, has attracted much attention in recent years. The controllability of pinning control is usually characterized by the ratio of the largest to the smallest eigenvalues of the Laplacian relevant matrices. 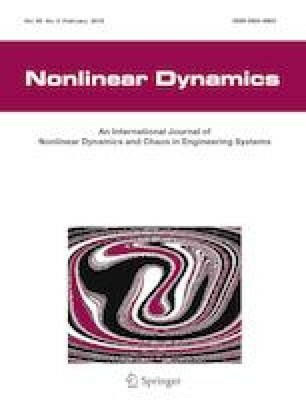 In this paper, we demonstrate that the ratio evaluation cannot precisely characterize the pinning controllability, especially the convergence rate (Lyapunov exponent) of a system. Thus, we propose a method to the pinning controllability from two perspectives: the coupling range and convergence speed. The former represents the synchronization range of the coupling strength between agents. Higher coupling range is better. However, the convergence speed characterizes the convergence rate of the pinning synchronization. Moreover, we analytically show that the classical ratio metric, the coupling range and convergence speed cannot arrive at optimums simultaneously. Comparing with the classical ratio metric, the pinning controllability could be better characterized by the coupling range and convergence speed in analytical and practical ways. The authors acknowledge Dr. Alexandre Vidmer for helping improve the quality of the manuscript. This work was jointly supported by the National Natural Science Foundation of China (Nos. 61703281, 11547040, 61803266, 61503140 and 61873171), the Ph.D. Start-Up Fund of Natural Science Foundation of Guangdong Province, China (Nos. 2017A030310374 and 2016A030313036), the Science and Technology Innovation Commission of Shenzhen (No. JCYJ20160520162743717), Shenzhen Science and Technology Foundation (Nos. JCYJ20150529164656096 and JCYJ20170302153955969), Guangdong Pre-national project (2014GKXM054), Guangdong Province Key Laboratory of Popular High Performance Computers (2017B030314073), Foundation for Distinguished Young Talents in Higher Education of Guangdong (2015KONCX143), and the Young Teachers Start-up Fund of Natural Science Foundation of Shenzhen University.